An all male housed named after Saint Francis Xavier, a Jesuit saint who was a missionary to the Far East. Acquired September 1960. 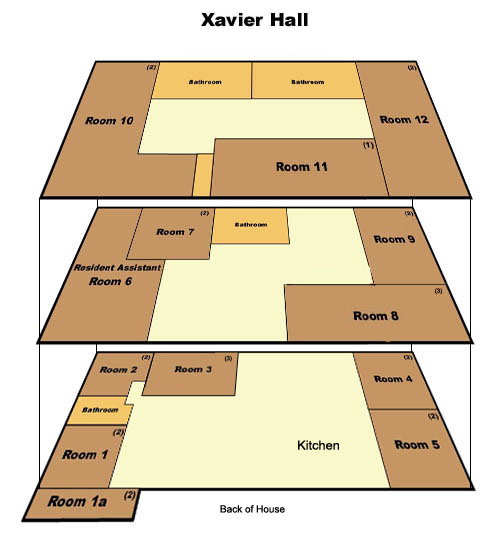 Campus house with a variety of room configurations (singles, doubles, triples).